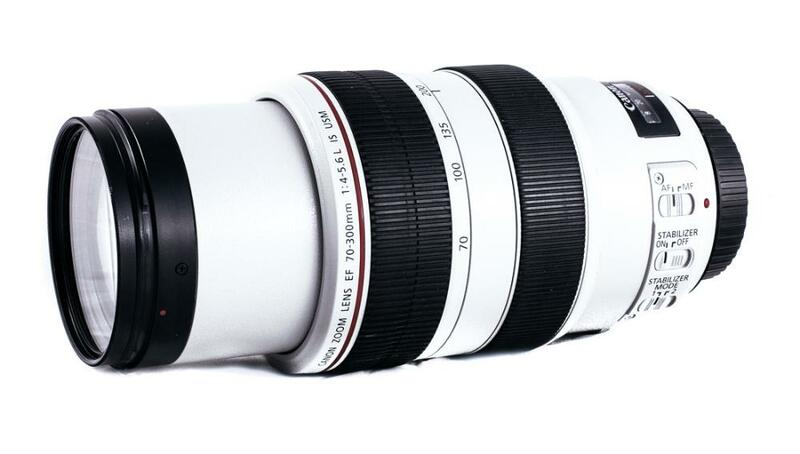 The Canon EF 70-300mm f/4-5.6L IS USM is a very compact telephoto lens inside Canon's high quality L-series build and design. To compensate for its relatively slow maximum aperture, it features 2 image stabilization systems: Mode 1 compensates for shake in all directions and is designed for hand-held shooting. Mode 2 compensates for horizontal shake and is helpful only when shooting across the horizontal axis (i.e. panning). This IS system will give you up to 4 additional stops by allowing you to shoot at lower shutter speeds hand-held to combat low light conditions. This lens is also dust and water resistant, making it a great lightweight choice for wildlife photography and safari trips. 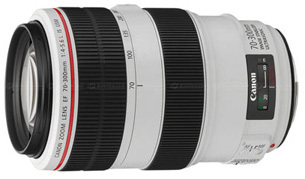 The Canon EF 70-300mm f/4-5.6L IS lens can be paired with both full frame sensor cameras, such as the Canon 1D X, and with crop frame sensor cameras, such as the Canon 1D Mark IV. 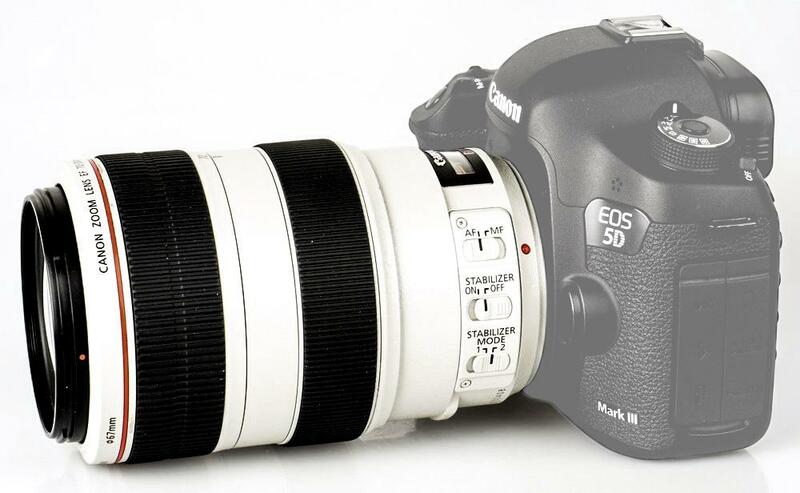 The focal length equivalent on crop frame sensors is 112-480mm. Please note that this lens is not compatible with 2X and 1.4X Canon extenders. Please see the Canon 70-200mm f/2.8 for a similar length lens that accepts these teleconverters. For use with monopods, this lens is compatible with removable tripod collars (not included). This lens is ideal for outdoor sports, wildlife, and safaris, especially for those who need to travel light. • This lens is compatible with Canon EF mount cameras in both full frame and crop frame sensors. The focal length equivalent on crop frame sensors is 112-480mm. • This lens is not compatible with 2X and 1.4X Canon extenders. Please see the Canon 70-200mm f/2.8 for a similar length lens that accepts these teleconverters. • The barrel of this lens does extend when zooming. There is a zoom lock you can deploy to prevent the barrel from deploying when walking around. For filter users: this lens internally focuses. The barrel does not rotate when focusing. • The IS on this lens produces a hum that is normal but not recommended for video users.